Anyone can buy and use an infrared camera. 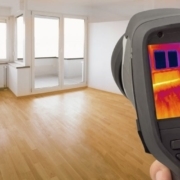 Many Licensed Home Inspectors are using infrared cameras as part of a home inspection. The term for using infrared cameras and correctly interpreting the results is known as “Infrared Thermography”. Consumers need to be aware of what an infrared camera can do, but also what it can’t. One common misunderstanding is that infrared cameras can measure temperature. Here’s the reason why they cannot. Infrared cameras see the infrared radiation emitted from the first 1/1000th of an inch of the target surface. Therefore, infrared cameras do not measure or see the temperature. The colours shown in the image represent the different levels of emitted infrared radiation. The Stephan-Boltzmann Law showed that a small increase in temperature meant a large increase in radiated energy. Their mathematical formula is what the camera system uses to convert the infrared radiation into temperatures. Interpreting infrared images is subjective, ie based upon the personal opinion of the thermographer. How do you know that your home inspector who uses an infrared camera is competent in its operation and correctly interprets the results? The answer is training and certification. 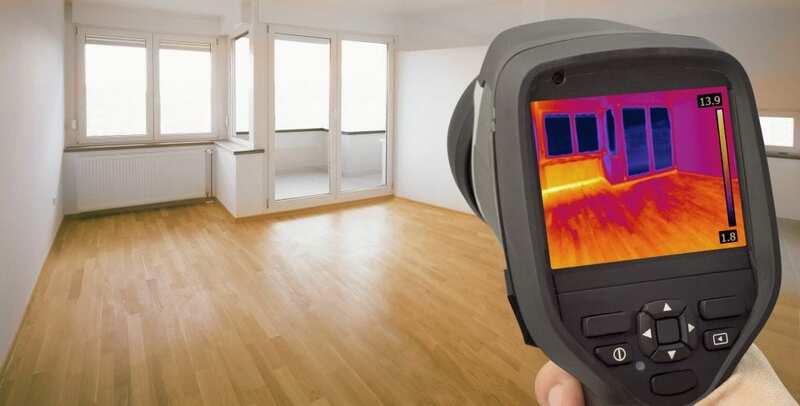 Any licensed Home Inspector using infrared thermography should be a Certified Level 1 Thermographer. So any home inspector using an infrared camera should be able to produce their certification document to you. Here’s a brief summary of what the certification process involves. The American Society for Non Destructive Testing (ASNT) and the International Organization for Standardization (ISO) recommend that the required classroom instruction for a level 1 Thermographer is 32 hours and the student must pass a written examination. The spirit of the ASNT and ISO also recommends that a certified thermographer should be one who regularly uses it in the field (a thermographer in practice). To be certified, the thermographer must be qualified and able to perform infrared inspections that maintain certain standards. The applicant for certification must submit a sample report to prove this requirement. An infrared survey of a building is completely different from a Home Inspection. The HIABC scope currently makes no requirement to use infrared cameras for Home Inspections. No doubt this will change as the industry continues to develop with new technology. As a licensed Home Inspector and Level 1 Certified Building Investigations Thermographer with FLIR systems Canada, I use an infrared camera in a Home Inspection as a complementary investigative tool – it highlights a potential problem area where I need to look closely to confirm what is shown in the infrared image, usually by other means. I also use the infrared images in reports to shown that underfloor radiant heating systems are working correctly. I do not charge extra for this service. Call House Sound Home Inspections Today! 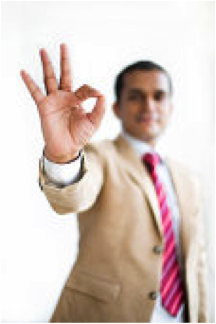 We are happy to provide a comprehensive inspection and thorough report. If you are considering buying or selling, or desire more history on your current building, we can help! Call House Sound Home Inspections today for all of your residential and commercial needs.